Established 16 years in the Renewable Industry we offer Inexpensive systems with reliability you can trust. 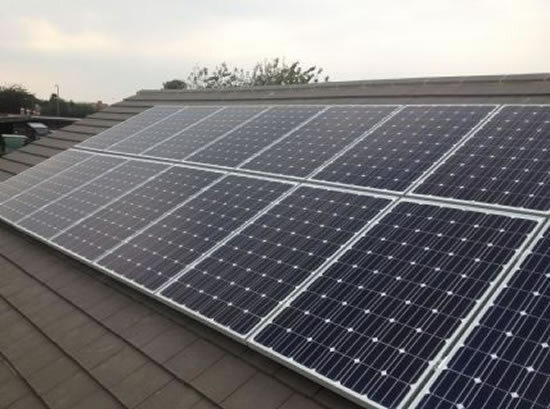 We at H2o Solar Power have been established as a family run business for the last 16 years in the South East of the UK specialising in the design supply and install of Solar PV, Solar Thermal, Air Source Heat Pump systems. We currently operate from Offices in Eastbourne, Worthing and Crawley covering the whole of the South Eastern & South Western Section of UK. Our main Stream of work is with Domestic Homeowners and Commercial Businesses along with Developers Builders & Architects. We also offer comprehensive services in all Electrical works Plumbing & Heating services in the domestic and commercial fields using our own NIC EIC, Gas Safe and NVQ Level 3 trained Engineers. With the ever-increasing age of thousands of installed Solar PV & Solar Thermal systems and equipment we can now offer our fully trained experienced engineers on a call out basis seven days a week. Please call or email for all our services and prices along with availability of repair engineers. H2o Solar Power Have a Vast knowledge of Solar Water Heating Systems with over 16 years experience in domestic installs up to large Swimming pool systems. We offer our simple but very effective solutions to water heating in Vacuum tube and Flat Plate solar panels available on roof, in roof and standalone systems for swimming pools and houses with unsuitable roofs. We take care of the complete install from start to finish and can offer other services related to our business using our own Electrical and Plumbing contractors of which are fully qualified. Fully Qualified Mitsubishi Ecodan Trained AEI Engineers.